At RHRLI, we are dedicated to helping people have a healthy head of hair, which usually involves treating thinning hair or hair loss on the top of your head. But another area of concern for many is eyebrow loss. Having unnaturally thin eyebrows or losing them completely can cause the same problems with appearance and the possible loss of self-esteem that affect those with thinning hair near the scalp. RHRLI has expertise in thinning hair and hair loss and we want you to understand the issues associated with eyebrow loss. We can also explain how we treat patients who come to us for eyebrow hair restoration. Your eyebrows don’t just shape and give expression to your face. It’s important that they stay healthy. Eyebrows protect your eyes from sweat that trickles down your forehead and also guard the bony ridges right above your eyes, according to the National Institutes of Health website. 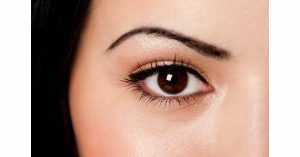 There are several factors that cause thinning eyebrows and eyebrow loss. One common cause is over-plucking, according to the website Smart Health Advice. Plucking your hair with tweezers can lead to ingrown hair, infections and follicle damage, which can lead to permanent eyebrow loss. A nutrient deficiency can also cause eyebrow hair to fall out as iron, zinc, vitamin D, Vitamin B12, biotin and omega 3 fatty acids all assist in healthy hair growth. Aging can also affect your eyebrows, according to the website. There are medical causes to eyebrow loss as well. Hypothyroidism, which is an underactive thyroid gland is one cause, according to the website livestrong.com. Skin conditions can bring about eyebrow loss as well as Alopecia Areata, an auto-immune condition that causes people to lose hair in certain patches of their body. Cancer treatments, such as chemotherapy drugs can cause temporary hair loss, according to Livestrong. Patients with these conditions often seek treatment to restore their eyebrows. Others seek treatment for cosmetic purposes. At RHRLI we can offer a solution for this type of hair loss, usually with a procedure called Follicular Unit Extraction (FUE). FUE is a hair transplant technique that involves seeking out healthy hairs, usually from the back of your head and transplanting them to the eyebrow area. There are some differences between the procedure RHRLI does for eyebrows and the transplants done for other types of hair loss. Hair follicles harvested by FUE from the back of the head for eyebrow transplants must match the color and texture of the naturally growing eyebrows, which tend to have finer hairs. The harvested hair must also be transplanted at the correct angles to blend in with the existing hairs of the eyebrows to ensure a natural looking result. We also do fewer grafts, or transplants, than we would for our other transplant procedures. Because of this, we will usually use a handheld device to accomplish the transplant rather than the ARTAS® robotic hair restoration system we utilize in the majority of our procedures. We will accomplish the transplant with a minimal discomfort. RHRLI are the hair restoration experts and we can offer help for eyebrow loss. We’re also the place to go if you want a permanent solution to hair loss or thinning hair on top of your head. We’re the only hair loss center on Long Island that offers the ARTAS® system, which employs robotic technology to conduct transplants. It’s minimally invasive and it will leave you with a healthier head of hair. Contact RHRLI today!